"My Aunt Kathy's holiday breakfast made the night before, heated up and ready to go the next morning. This cannot be beat as an easy way to feed lots of people breakfast with very little prep." Spread the French bread cubes and cream cheese cubes evenly in a 9x13-inch baking dish. Whisk eggs, milk, maple syrup, and cinnamon together in a bowl; pour mixture over bread and cream cheese. Cover and refrigerate overnight. 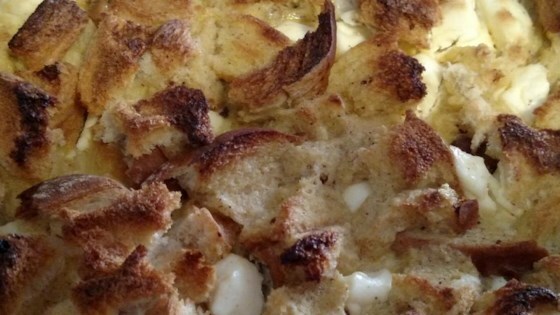 Here's a super quick and flavorful overnight French toast casserole. cream cheese ruined this dish for me. I am normally a fan but not on this recipe. could be a great recipe with some major tweaks to it.